This is a sponsored post written by me on behalf of Pillsbury. All opinions are entirely my own. 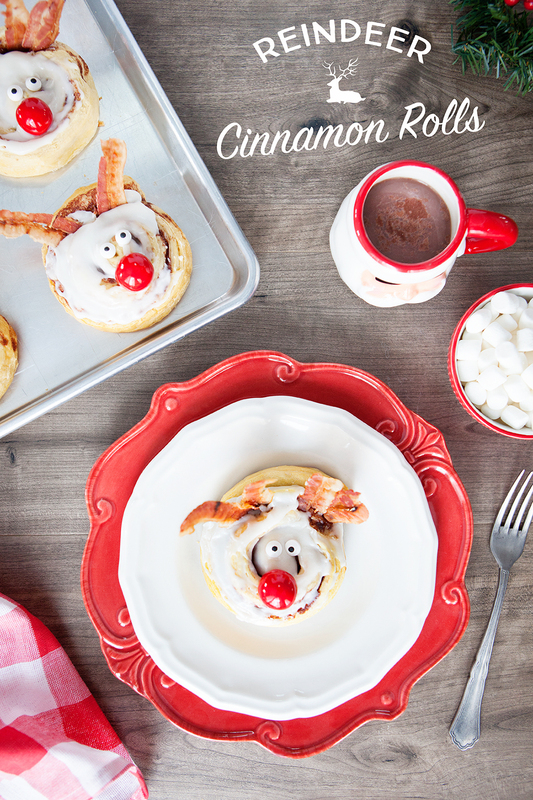 These Rudolph the Red-Nosed Reindeer Cinnamon Rolls will help make the holidays a bit more magical with minimal effort required! 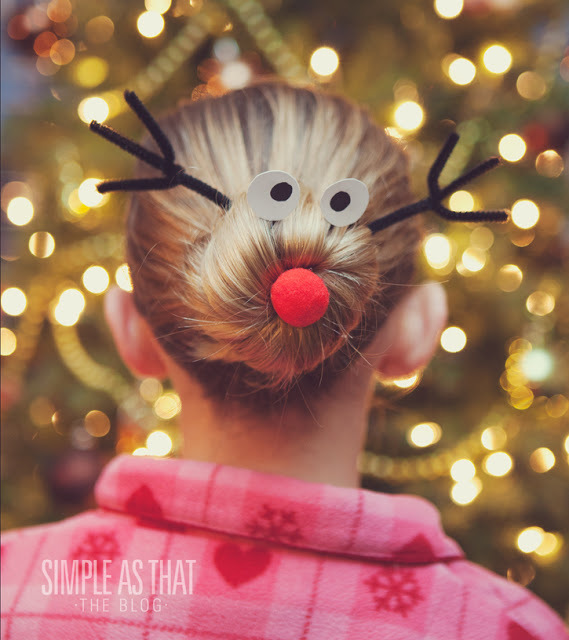 These cinnamon rolls really are the perfect Christmas breakfast – the kids will think they’re adorable (and of course delicious) and they’re so easy that mom doesn’t have to worry about the time it takes to make them! 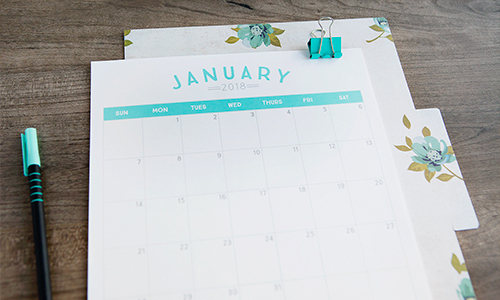 I love to make the holidays extra special for my kids but annual traditions and holiday baking can quickly take my focus away from what matters most at Christmas unless I’m mindful of keeping my to-do’s in check. 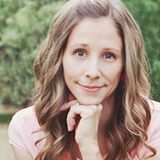 It’s so easy for life to get overwhelming when we add to much to our plate this time of year. 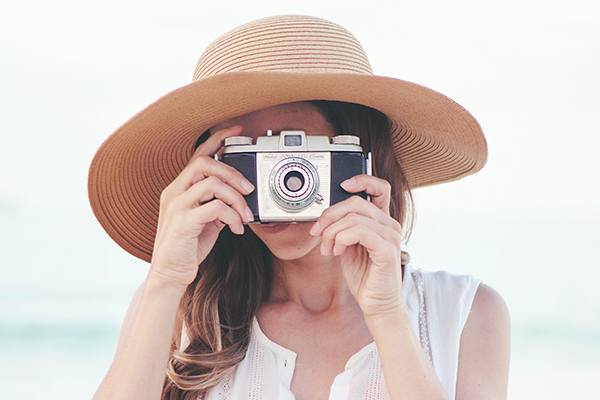 When it comes to holidays baking, finding ways to keep my time in the kitchen to a minimum so I can enjoy more time making memories with my family is a high priority for me. 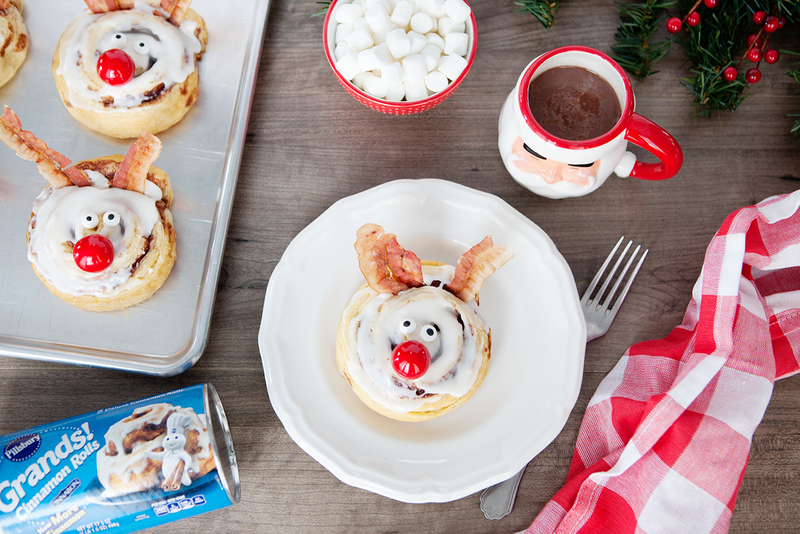 Thanks to Pillsbury, we were able to enjoy this yummy breakfast together in a snap and make some special Christmas memories along the way! Make cinnamon rolls on non-stick pan according to package directions. Once cooled, spread icing on the top of each roll. 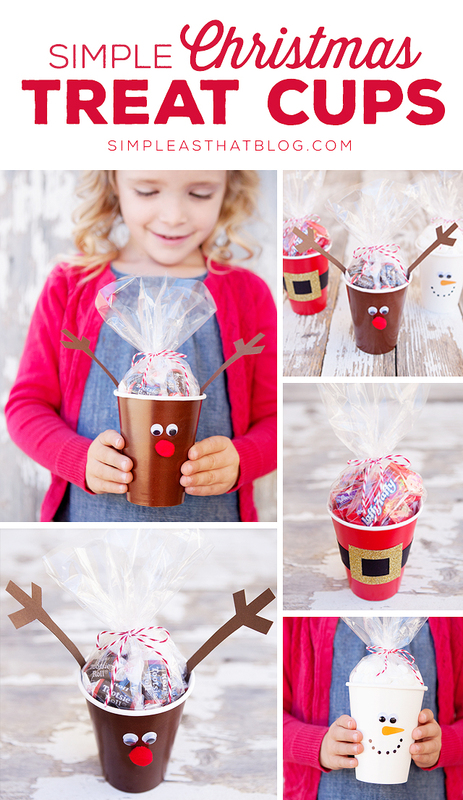 Place one red gumball and two candy eyes on the top of each roll to make the reindeers face. Slice cooked bacon in half. 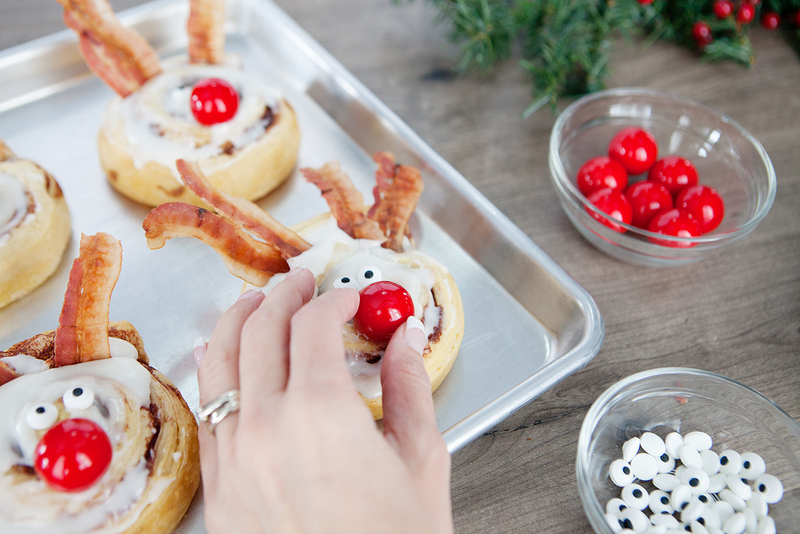 Place two half slices of bacon in the top of the cinnamon rolls for the reindeers antlers. 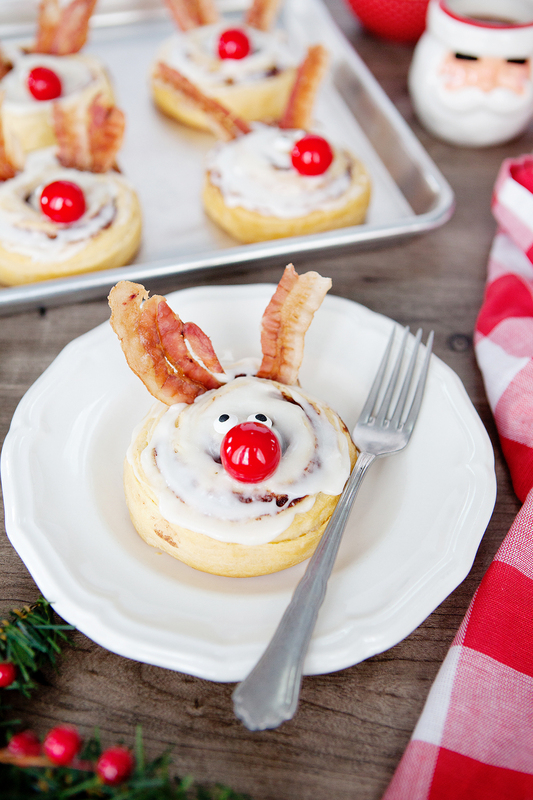 I hope you enjoy these cute and yummy reindeer cinnamon rolls as much as the kids and I did! 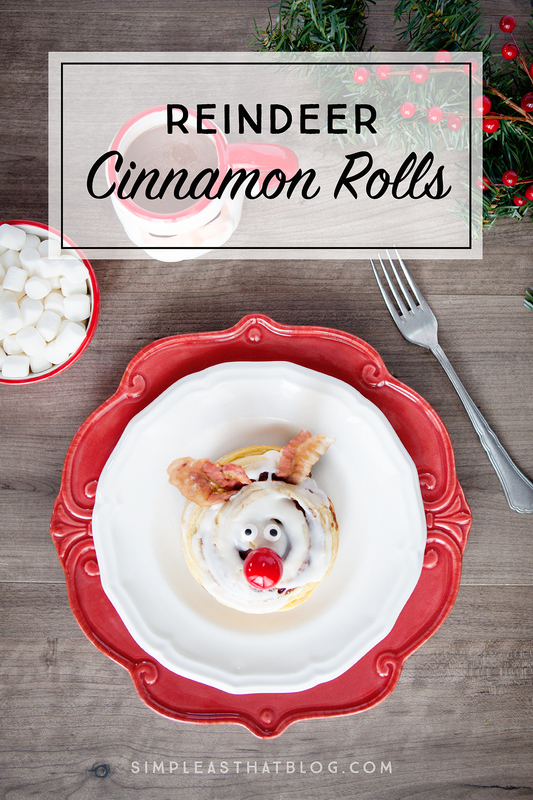 I can see these cinnamon rolls becoming a new holiday tradition in our house. 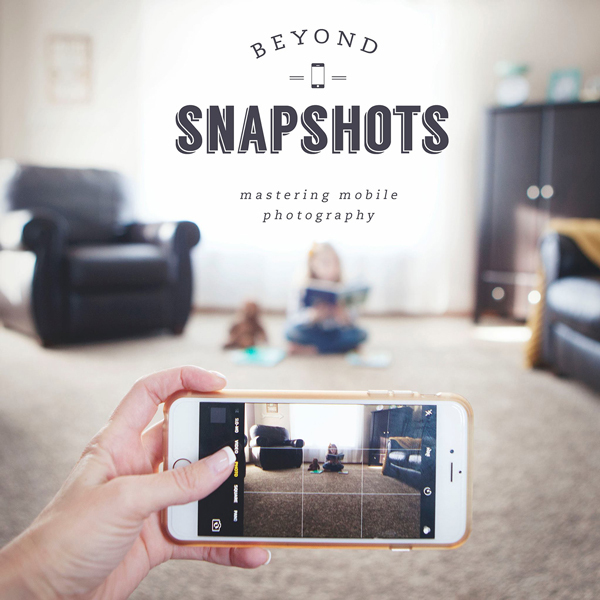 Here’s to spending less time in the kitchen and more time with the ones we love most this holiday season. 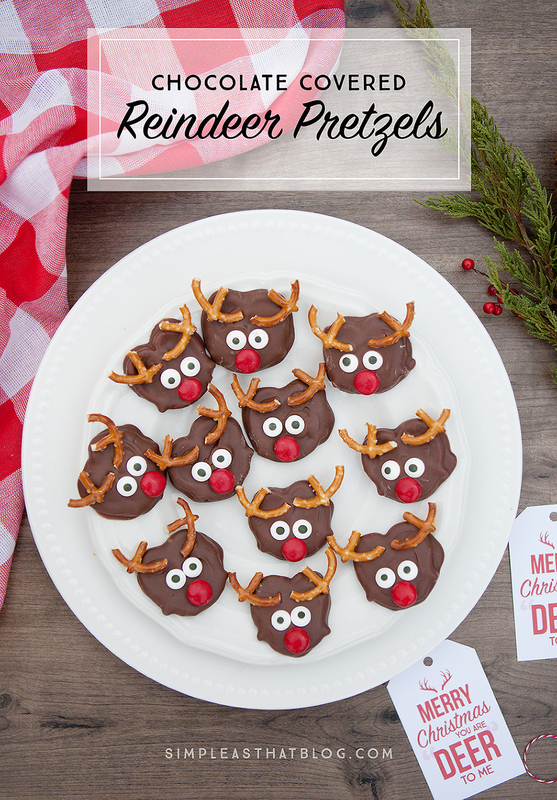 These are totally adorable! I love the festiveness!! !